The importance of fire prevention - Scarsdale Premier Insurance Agency | Advocate Brokerage Corp. Details are still unfolding about the large Scarsdale house fire that occurred this weekend. 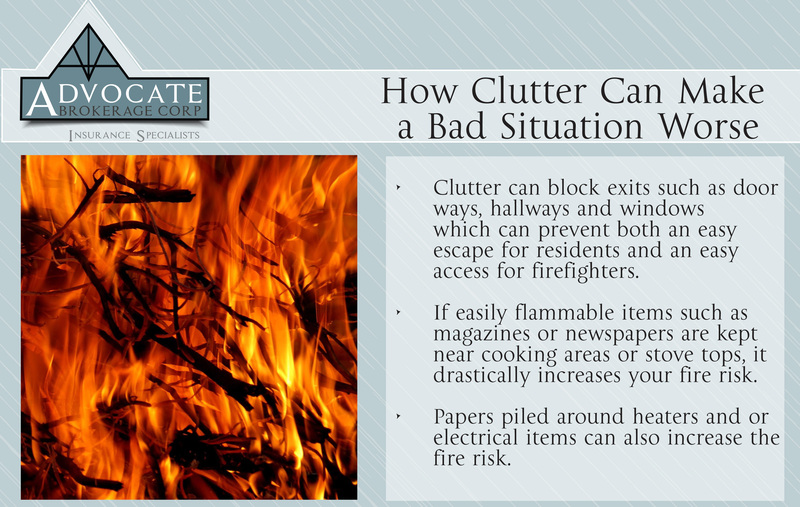 Clutter can block exits such as doorways, hallways and windows which can prevent both an easy escape for residents and an easy access for firefighters. If easily flammable items such as magazines or newspapers are kept near cooking areas or stove tops, it drastically increases your fire risk. Papers piled around heaters and or electrical items can also increase the fire risk. Do what you can to keep clutter to a minimum and be sure that there are fire alarms in good working order and consider having an automatic sprinkler system installed. Our thoughts are with those touched by this tragedy.